Galway legends, My Fellow Sponges give rare intimate performance in the cozy environs of The Black Gate Cultural Centre. 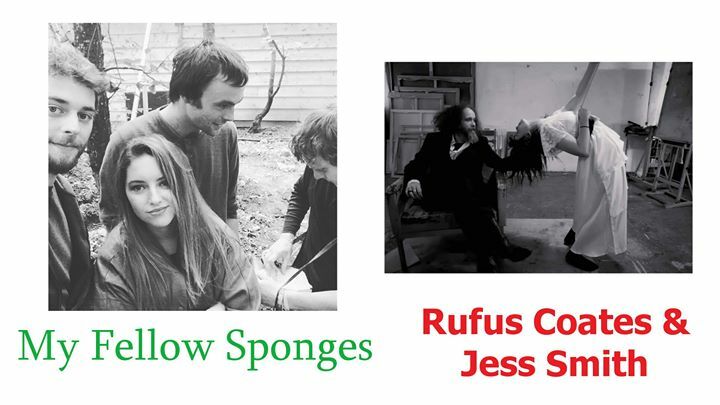 They will be joined on the night by troubadour duo, Rufus Coates and Jess Smith. MY FELLOW SPONGES are a Galway-based band known for their their creative videos and energetic live shows. Their sound ranges from eerie-minimal-electronic to hip-swingin-bossa. RUFUS COATES & JESS SMITH (formerly Rufus Coates & the Blackened Trees) are a unique, dark and atmospheric, Irish blues/folk duo currently based in Berlin. Rufus and Jess released their debut album (Rufus Coates & the Blackened Trees)in 2016 to much critical acclaim, including the much coveted -The Irish Times ‘Album of the Week’ – at the end of 2016 the duo decided to relocate to Berlin to pursue a full time career in music. Since arriving to Berlin they have started to make waves in the eclectic music scene there, as well as touring extensively around Europe. their sound has been described as Rootsy, dark and atmospheric and their live show always promises to be a heartfelt and intense affair.